Every wartime idea was tried and developed, including oilers and supply submarines. In 1948/49 the Carbonero and Cusk were fitted to operate the "Loon" guided weapon system, an improved version of the German V1 "doodlebug", launched from a catapult abaft the conning tower. From these experiments came the Regulus I missile, an air-breathing anti-ship missile with a 500-mile range, and the Tunny and Barbero were fitted with cylindrical hangars to house two missiles. The Regulus II missile which followed was 57 ft long, compared with only 32 ft for Regulus I, so it demanded a much bigger submarine. The Grayback and Growler, built in 1952-58, were fitted during construction with enormous twin cylinders faired into the forward casing. The nuclear Halibut was designed in 1956 to fire Regulus II as well, but after five years in service it was announced that the Regulus II programme was to be abandoned; she and the two conventionally powered Regulus-armed boats were disarmed. However, their massive missile compartments made them useful for other purposes, and Grayback is currently serving as an amphibious transport, while Halibut is acting as a "mother ship" for the Deep Submergence Research Vehicle programme. 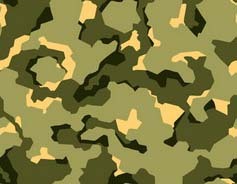 During the Cold War period the United States was preoccupied with the threat of Russian air attack with nuclear weapons, and put great faith in a seaward early- warning radar "picket line". 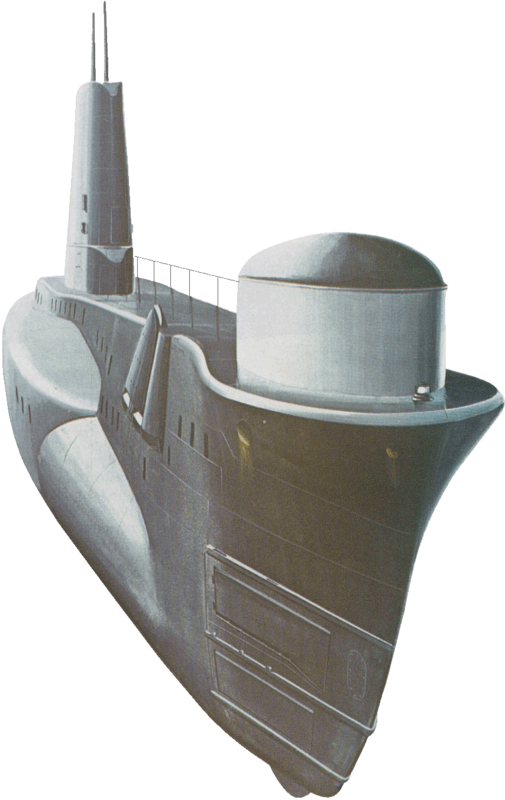 Most of the pickets were surface warships fitted with elaborate radar and communications, but several submarines were fitted out as radar pickets to provide more flexibility. 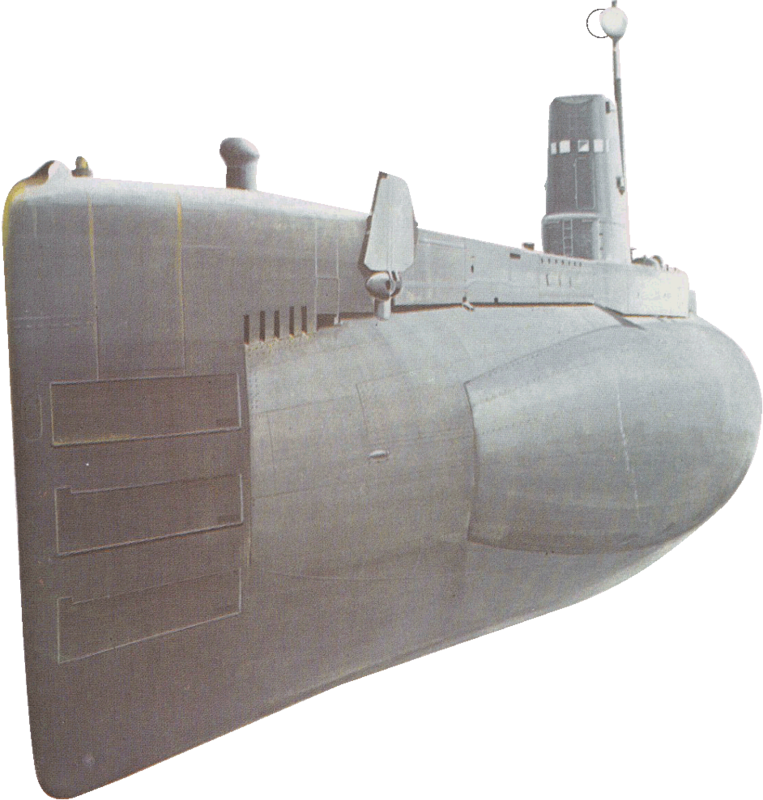 This led to the construction of an enormous nuclear radar picket submarine, the Triton. She was the largest submarine ever built at the time (1959) and had two nuclear reactors; this power enabled her to circumnavigate the world submerged in 1960, a 41,500-mile voyage at an average speed of 18 knots.